“It’s an Omen!” Prodigy sang in its cult song: “Omen” and based on the trailers we already knew that this ” Prodigy” in the movie will be wicked kid as well. Although the Prodigy is not a bad, boring or dragged-out film at all (although at the beginning it builds up slowly the “horrible truth” that we can predict in advance), the film’s creators have made little effort to twist it at least in some way, besides a well-known story full of clichés. Specifically, it is sad that the already mentioned, similar-themed, classic Omen or the Exorcist series contains more twists than this completely predictable film made in 2019. We can predict in advance what will happen to the most important characters – almost scene to scene. Maybe there is a twist at the end of the movie when it finally turns out that what Miles really wants but after that it isn’t hard to figure out either what will happen in the end. Jackson’s Robert Scott – early in his career – is not a bad child actor, but we’ve seen stronger “demon child” in classic horror movies. In fact, Miles is the scariest in those scenes when his head is in a dark shadow, so we cannot see him at all. Perhaps with clearer director’s instructions, better effects, more professional makeup, the “charming child actors” Scott could have been scarier. Just because his two eyes have different colors, or one of the scenes he paints a half-skull on his face, he won’t be necessarily a young American Psycho. Fortunately, Taylor Schilling is more credible in her own role of the mother, especially compared to Peter Mooney, who is bland and boring as his husband. The Prodigy is not a bad horror movie, but after the classics mentioned, it did not put much novelty on the table. If the film tells a surreal story, at least more psychedelic horror scenes would not have hurt. 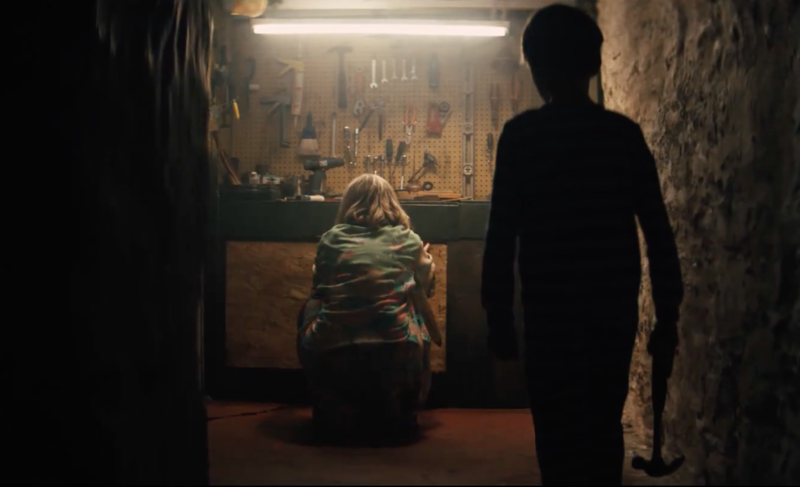 While there is no lack of fear, or scary moments, the “Evil” is really a creepy character, and Taylor Schilling is convincing in the role of the mother, still, the story is often so predictable that it’s hard to worry about what will happen. For lovers of the genre, perhaps, it is worth to see this movie, but don’t expect it to be on par with the classics. The Prodigy is not a bad horror movie, but after the classics mentioned, it did not put much novelty on the table. If the film tells a surreal story, at least more psychedelic horror scenes would not have hurt. While there is no lack of fear, or scary moments, the "Evil" is really a creepy character, and Taylor Schilling is convincing in the role of the mother, still, the story is often so predictable that it's hard to worry about what will happen. For lovers of the genre, perhaps, it is worth to see this movie, but don’t expect it to be on par with the classics.